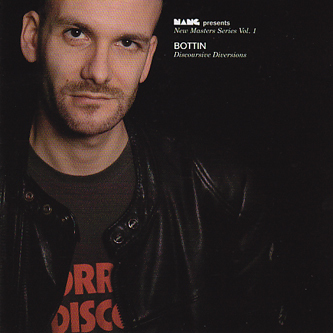 Nu-disco hero Bottin presents his first mix CD for the Nang corporation. Actually, this is a bit more than your average mix CD as Bottin has remixed each and every track to his exacting specifications, trimming inches and measuring inside seams like a a proper hands-on Italo tailor. The selection flows from Lindstrom's 'Paaskelyd' via his own IDIB killer 'No Static' to another IDIB heater in Solange's 'Robots Are Un-American', chalking up grooves from Bear Funk's Steve Kotey, In Flagranti, Wax Stag, Miss Plug In, Pollyn and more over 18 tracks. Expect cow bells, slick-hipped basslines and a general air of sophistication that says "Your socks are the wrong colour, you're not coming in." It's Good.